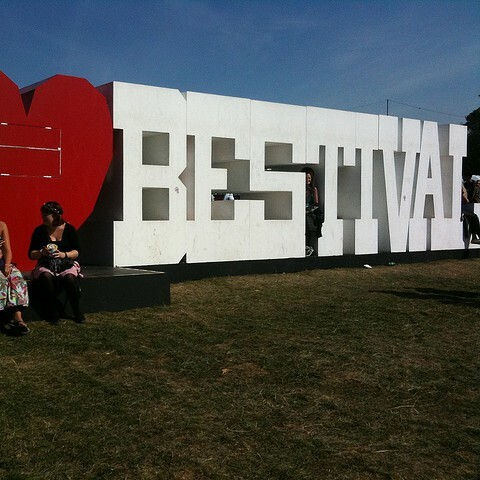 Bestival 2014: 10 local acts that you won’t want to miss! The UK’s summer festival season comes hurtling towards its conclusion next weekend, with the Bestival taking place at Robin Hill Park on the Isle of Wight. Yes, I know – 10am on Friday at the Bestival is usually when the previous night’s revellers are contemplating hitting the hay for their daily power nap, or latecomers are lugging tents and booze towards their desired patch of turf, but Claydon Connor is a singer/guitarist well worth rousing yourself to witness. An erstwhile scholar at the Isle of Wight’s Platform One music college, the 26 year old’s debut album, ‘Feels Like Home,’ released in 2009, provided a glimpse of the predominantly acoustic indie-rock musings of a raw artist who didn’t sound entirely comfortable with the genre. A welcome evolution towards country/Americana rock is evident in Connor’s summer 2014 LP, ‘Under The Big Sky,’ where subtle, captivating instrumental strains accompany increasingly confident and sentimentality dripping vocals – a fact borne out by some rousing, evocative recent live performances, including a memorable Kashmir Cafe set at this year’s Isle of Wight Festival. When it comes to spoken word (or poetry to give it the ‘non-kid friendly’ moniker), Bestival regulars Kate Tempest and Scroobius Pip are indisputably once again the marquee names on the bill. There are some real hidden gems amongst the other performers though, with Buddy Carson a must-see for anyone who enjoys intoxication by rhythmic rhetoric. Hailing from these shores, the talented wordsmith’s work with Flip The Script and Stand Up For Lyricism has not only allowed a myriad of youngsters to benefit from his wisdom, but also brought his regularly anecdotal based introspections to a fresh audience. Even more annoyingly he’s a bloody marvellous singer, nifty with a Cajón drum and regularly donates money to charity without tipping buckets of ice water over himself! Mermaids have given this writer a lot to be grateful for: A 1984 film where Tom Hanks gets jiggy with a fish, a cartoon to put on when my niece is getting out of hand and of course that movie simply entitled ‘Mermaids’ with a Cher soundtrack that traumatised my childhood in the early 90’s during what seemed like a 400 week run at the summit of the charts. Recently I discovered one more delight; this time in the shape of wonderfully experimental 5-piece Plastic Mermaids, now in their fifth year as a collective. Oozing eccentricity, the band’s increasing profile has ensured regular sell-out gigs around the UK and an expanding appreciation from other sections of the industry, with their tracks providing the backdrop for a slew of campaigns and websites. Dropping début EP, Drømtorp, earlier this month (think early Syd Barrett meets Röyksopp), the quintet were apparently directly earmarked by Bestival top brass as a must-have psychedelic component of the festivities. They play twice, so there’s no reason to miss out. Ba.Dow delivered the goods under intense pressure to deservedly win the Bestival battle of the bands competition earlier this year, having seen off pre-comp favourites Pleasurade and Duveaux. Starting life as a four-piece, the departure of original front-woman Charlie Jones meant that drummer Jodie Amos was thrust into a dual role, a move that proved a catalyst in accelerating the remaining trio’s development, her spine tingling diction exquisitely supplementing the frequently catchy guitar riffs of Sam Morris and Bradley McGinty. Expect them to emulate last year’s band competition winners Signals and deliver a stellar half-hour set, gaining a multitude of new devotees in the process – Ba.Dow will be in their element on the main stage. For many attendees the highlight of the 2014 Rhythmtree hippy free-for-all was provided by the high-octane, unpredictable performance of soulful trio Wille and The Bandits, a group consisting almost entirely of big hair and ear popping instrumental sequences. A 2011 Daily Telegraph write-up describing them as one of the most exciting unsigned acts in the country has been followed by a range of other ringing endorsements from the likes of BBC Radio One and The Independent newspaper earlier this year. It’s clear that Wille and his bandits have been placed on a pedestal by a clutch of illustrious media outlets – hype vindicated every time they set foot on stage. Despite not being natives, the Isle of Wight has become the guys’ home away from home, as well as a location that accounts for a decent chunk of their rapidly expanding fanbase. Fine Lines are an Isle of Wight folk/alternative rock sextet who are something of a local super group, with the majority of members having resided on lofty solo perches before combining forces to create a musical equivalent of The Avengers. The three singers’ voices mesh well and those who witnessed them at Chorderize in 2013 were unanimous in their praise of the eclectic talents on show, there’s no chance of the ensemble becoming typecast with the likes of Floella Grace, Hester Chambers and Gareth Ashworth each bringing wide ranging interpretations to irksomely catchy compositions. Half of the band can sing and half can play the guitar – but which halves? Only those who dare to visit the Bestival site as early as 4.30pm on Thursday will ever know. Hip-hop like it used to be, Too Many T’s, aka Ross Standaloft and Leon Rhymes, mix shtick with the occasional bout of seriously deep retrospection, atop a series of catchy backing tracks courtesy of DJ Savage Henry. Since forming in 2011, the pair have built a reputation as one of the most authentic old-school rap acts on the British circuit, winning critical acclaim from a host of highly respected authorities on the genre, including the Bestival’s own curator Rob Da Bank. Performing on the main stage, expect a blitz of lyrics and beats that’ll have even the grouchiest toddler head banging from their push chair. Essential listening for hip-hop fans. There’s more than a hint of The Divine Comedy about the way Dan Duveaux theatrically fronts the band that carries his surname, although that’s where the similarities end. A nattily attired five-piece, the indie-rockers performed more than half a dozen times during this year’s Isle of Wight Festival and have remained impressively active throughout the summer, never afraid to experiment with a pleasingly reliable stream of new material. Simultaneous with that unrelenting work ethic has been an inevitable increase in stage presence and while it may be the front man whose name is on the posters, there’s no doubt that it is the collaborative talent on show that makes Duveaux such a must-see band. In their own words: The Ohmz formed when five goats from a farm wandered into a reggae and tea night at the local, discovered they shared a love of tea (and reggae) and decided to write some songs about that. Mutual adoration of tea aside, this reggae five-some might be the closest thing that the Isle of Wight has to Bob Marley and the Proclaimers, despite local crooner Derek Sandy’s claims to the contrary. Booked to fill afternoon and early evening slots, The Ohmz will undoubtedly create a couple of the grooviest, most laid back atmospheres of the entire weekend. Signals are a math-pop, female-fronted four-piece from the Isle of Wight… That’s what all the press releases say. What the hell is math-pop you ask? Although it sounds like something akin to Carol Vorderman giving live birth on Countdown, it’s actually a genre of music – that’s right, another genre – f**k, I’d only just learned the old ones. Genres aside, Signals are an explosive, exciting band with a brilliant lead singer in Ellie Price and one of the finest bass guitarists that the Isle of Wight has ever produced in the shape of Alex Vanblaere (he’s the one rocking the hipster look.) They were the first Platform One band that really seemed to blaze a trail beyond the safety of their island and today provide a benchmark for the rest to strive for. Like the list? Think someone’s missing? Let us know in the comment section below and please like our Facebook page! Most importantly, please support all of the bands mentioned and go and see them if you find time.